04.12.2019 — Salesforce Tower has been named "Best Tall Building Worldwide" for 2019 by the Council on Tall Buildings & Urban Habitat (CTBUH). 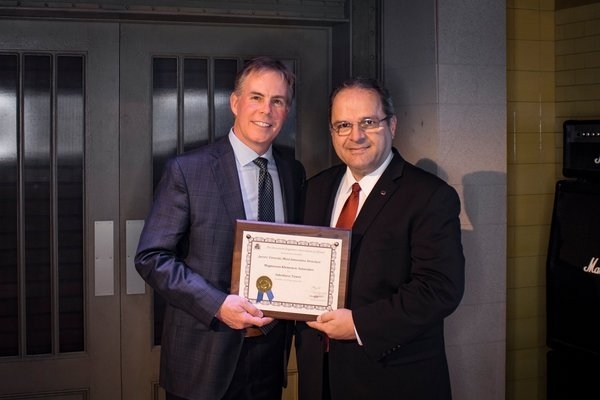 The tower was recognized for its focus on occupant health, sustainability, structural efficiency, and its integration with the surrounding urban habitat. 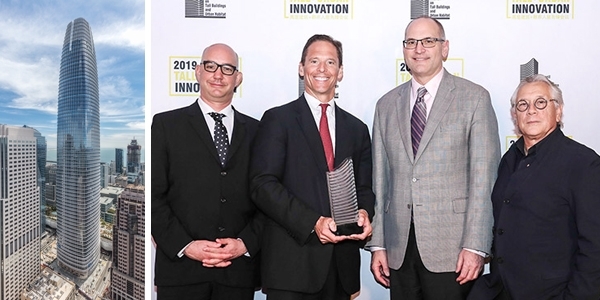 On-hand to accept the award was Edward Dionne from Pelli Clarke Pelli Architects, Paul Paradis from Hines, and our Chairman and CEO, Ron Klemencic. Congratulations team! Read more on Salesforce and the other Best Tall Building winners at the CTBUH website here. 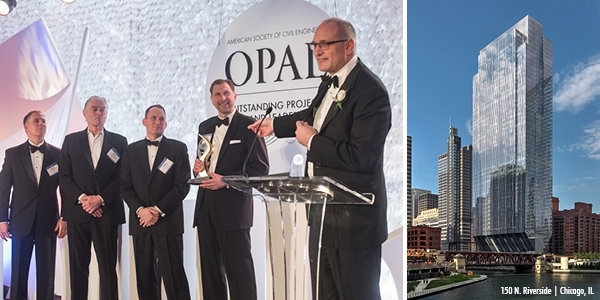 03.22.2019 — 150 North Riverside in Chicago was recently awarded the 2019 Outstanding Civil Engineering Achievement (OCEA) Award, a top honor presented by the American Society of Civil Engineers (ASCE) at their annual OPAL Gala in Arlington, Virginia. Accepting the award from MKA was Ron Klemencic, Rob Chmielowski, and Dave Eckmann—joined by Jim Goettsch from Goettsch Partners and Chris Phares of Clark Construction. 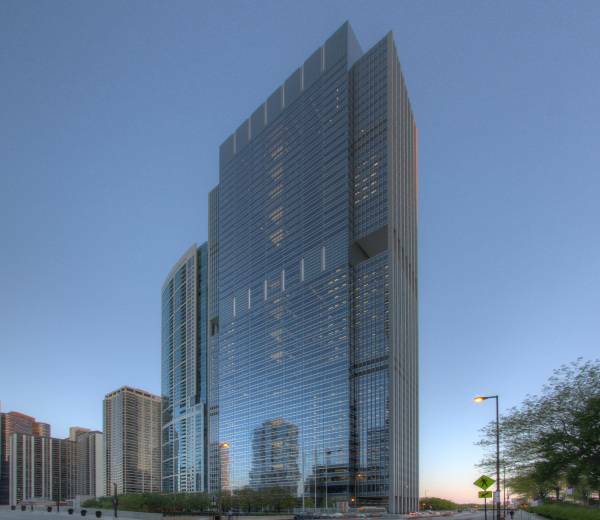 Currently, 150 North Riverside is only the fourth building structure, and second tower to ever be recognized with this prestigious award! Also recognized at the gala was MKA’s Chairman and CEO, Ron Klemencic, who was presented with the OPAL Award for Design. Ron is a pioneer in the field of Performance-Based Seismic Design (PBSD) for tall buildings, a new methodology that increases building safety, reliability, and flexibility (find out more about MKA’s PBSD approach here). “From experimental research needed to advance our practice to innovations with respect to new and novel structural systems, [Klemencic] has been on the forefront of our profession” said Farzard Naeim, a seismic specialist at John A. Martin Associates. Ron’s dedication to continuing research is also apparent in his long-standing position as a board member for the Charles Pankow Foundation, a past 5-year Chairman of the Council on Tall Buildings and Urban Habitat, numerous authored and co-authored journal articles, and memorable presentations at an international level. To read more about the evening and other 2019 honorees, visit the ASCE website here. 01.18.2019 — MKA was pleased to be on-hand Friday, January 18th for the Annual ACEC Engineering Excellence Awards in Bellevue. Our own John D. Hooper, P.E., S.E., was recognized as Engineer of the Year. John serves as MKA’s Director of Earthquake Engineering and has worked on over 100 projects, leading earthquake engineering efforts in seismic zones over the last two decades. “His knowledge on seismic issues is encyclopedic, “ says Jonathan C. Siu of Seattle’s Department of Construction and Inspections. John also presents nationally on seismic design, as well as being active in code development and research. Also honored with a Platinum Award was the team for Salesforce Tower in San Francisco. Salesforce Tower is a 1,070-foot tall office tower that uses a first-of-its-kind “high-performance core,” or HPC. The tower required a robust foundation system including 42 load-bearing elements that are socketed into bedrock 310 feet below. Congratulations to the 29 projects that were honored in this year’s program. To read more, download the special section to the Seattle Daily Journal of Commerce here. 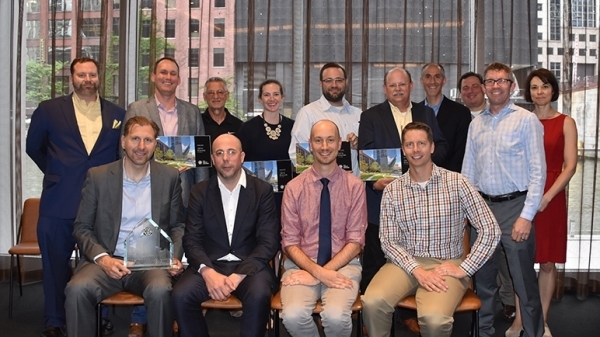 07.10.2018 — Congratulations to the project team of 150 N. Riverside in Chicago who was honored with national recognition in the 2018 IDEAS2 Awards for innovative design with structural steel by the American Institute of Steel Construction. 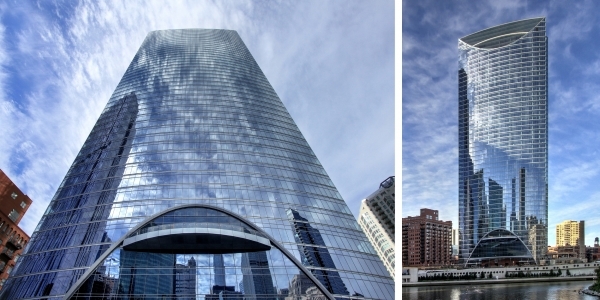 The 54-story office tower at the edge of the Chicago River captures attention with it’s innovative, tapered superstructure design, creating a footprint equal to just 30 percent of the tower’s floor area and below spans across seven active Amtrak lines. Its construction also includes the largest steel sections in the world! To read more about the project award, visit the Modern Steel Construction website here. 06.09.2018 — Congratulations to the entire Salesforce Tower project team for taking home the top award for SEAOI’s 2018 Excellence in Structural Engineering Awards: Juror’s Favorite/Most Innovative Structure! Chicago Office Leader, Dave Eckmann, P.E., S.E., FAIA, attended the awards banquet on Saturday, June 9 at the Chicago Museum of Broadcast Communications. MKA has been awarded an SEAOI award 16 of the last 17 years! Salesforce Tower, the tallest building west of the Mississippi based on highest occupied floor, also has the deepest foundations – 310 ft into solid bedrock. The structural design of this building offers wide-open office space with column-free leasing bays and corners and a crown that soars to 1,070 ft, making it the new beacon of San Francisco. You can see all the winners on the SEAOI website here. 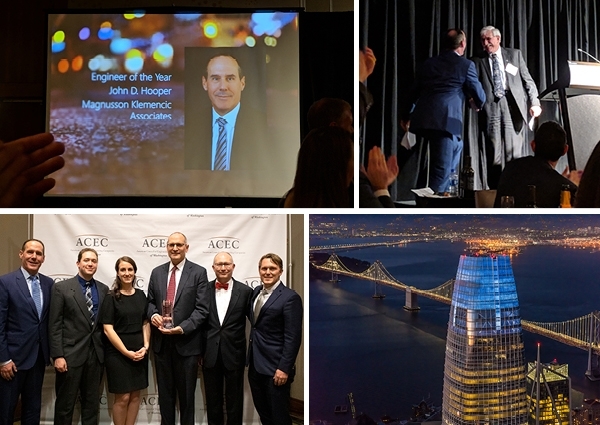 04.18.2018 — MKA’s Jon Magnusson, Sarah Moline, and Rob Chmielowski were honored to accept a prestigious Grand Award at the American Council of Engineering Companies’ (ACEC) Engineering Excellence Awards Gala on April 17 in Washington, D.C. 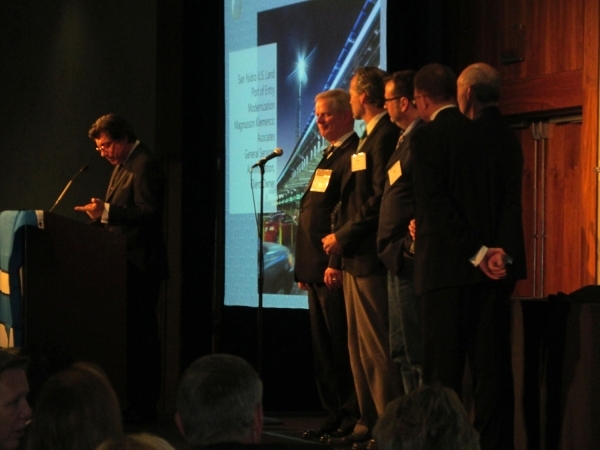 The award was in recognition of MKA’s innovative, engineering design for the 150 North Riverside project in Chicago. MKA’s design was recognized by ACEC for a number of innovations and engineering “firsts” including the development of a razor-thin concrete central building core structural system. The sloping columns used to create the cantilevers utilized the largest rolled steel sections produced in the world to channel the loads from the tower to the narrow base. In the building columns above the cantilevers, MKA advanced the industry with the use of steel that is 40 percent stronger than has been used in modern buildings and the use of this high-strength rolled steel is a first in the U.S. MKA partnered with architect Goettsch Partners and contractor Clark Construction. 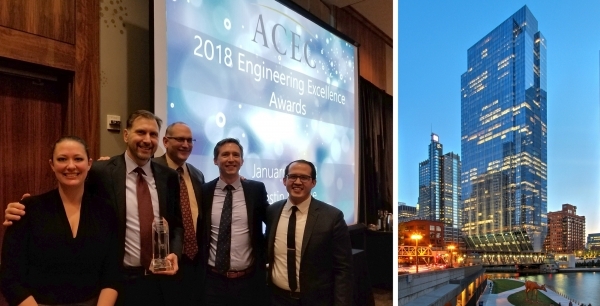 01.19.2018 — MKA was proud to accept the ACEC-Washington Platinum Award for our project – 150 North Riverside in Chicago, IL. The razor-thin concrete structural core allows this 54-story high-rise to be built on a base just 39 feet wide, perched between the Chicago River and an active set of railroad tracks! Congratulations to all of our engineering colleagues honored at the awards on Friday evening. See a full list of winners in this special section of the Seattle Daily Journal of Commerce here. 10.19.2017 — MKA is proud to be partnering with AISC, The Charles Pankow Foundation, Purdue University and others on development and research of a new Concrete-Filled Composite Plate Shear Wall system. 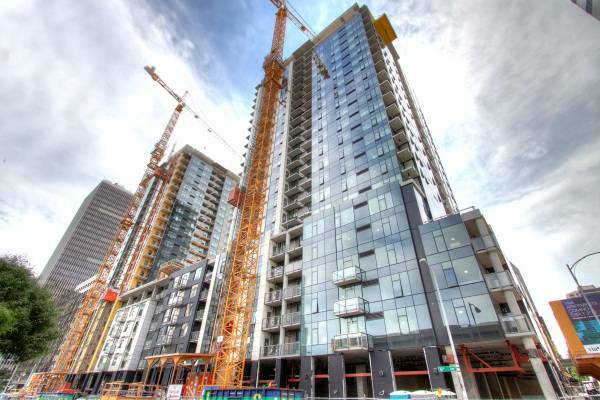 The system is being developed for use in high-rise towers and consists of two steel plates connected by steel spacing ties and filled with high-strength concrete. You can read more about the project in this AISC Press Release. More exciting is that we will be putting this system into practice constructing the new Rainier Square high-rise tower in Seattle, WA. The project is anticipated to be delivered up to four-and-a-half months faster than a traditional concrete core, saving construction time and resources. Our Chairman and CEO, Ron Klemencic P.E., S.E., Hon. AIA and Professor Amit H. Varma at Purdue University are scheduled to present their research on this system at the 2018 NASCC: The Steel Conference, April 11-13 in Baltimore. 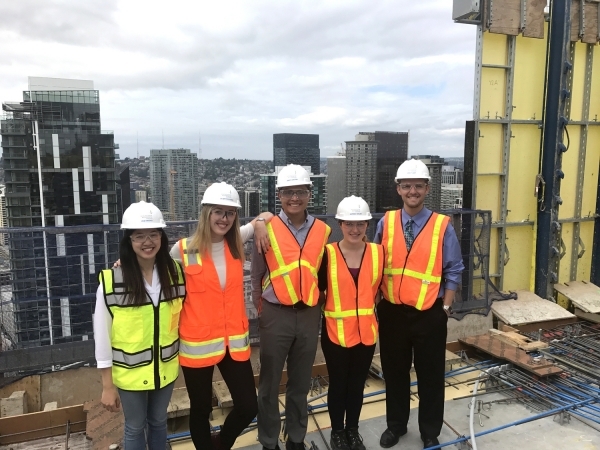 07.10.2017 — On July 10th, our MKA summer interns toured the Second and Pike residential project currently under construction in downtown Seattle. Representatives of Sellen Construction led the group to the uppermost residential floor that was near-ready for concrete placement. Philip Beasley, an MKA design engineer on the project, led the tour and described some of the significant structural design features. The visit concluded with observations of the Level 8 amenity floor to see the installed curtain wall, MEP rough-in, and a steel canopy structure — with a final stop at a completed residential unit on Level 2. Each summer MKA is proud to bring on 5-7 interns, letting them experience true hands-on engineering! Welcome to this year’s interns (from left to right), Iris Kwong, Olga Pavlenko, James Gaitan, Marissa Gelms, and Eric Fleet. MKA’s Cultural group assisted Murase Associates with the structural design of the central shelter, reminiscent of butterfly wings. The shelter will serve as an amphitheater for live performances. Design Engineer, Katie Reif, P.E., explained, "It was a very organic shape, which they loved, but made it potentially really expensive to build. Instead, we developed a parametric model in Rhino and Grasshopper to generate similar geometries that could be constructed entirely out of single curvature rolled plate and HSS sections. Since it was a parametric model, the architect could tweak the parameters to create a form that kept the organic feel – while maintaining the easy constructability." Jimi Hendrix Park is located in at 2400 South Massachusetts Street, adjacent to the Northwest African American Museum. To learn more about the project, visit the Jimi Hendrix Park Foundation website, www.jimihendrixparkfoundation.org. 06.08.2017 — MKA is proud to announce that River Point Tower in Chicago has been awarded Best Project Over $150 Million by the Structural Engineers Association of Illinois (SEAOI). The tower’s innovative structural system utilizes an arrangement of inward sloping columns to avoid the railroad tracks below and the response to the challenging site conditions ultimately becomes celebrated in architectural form. 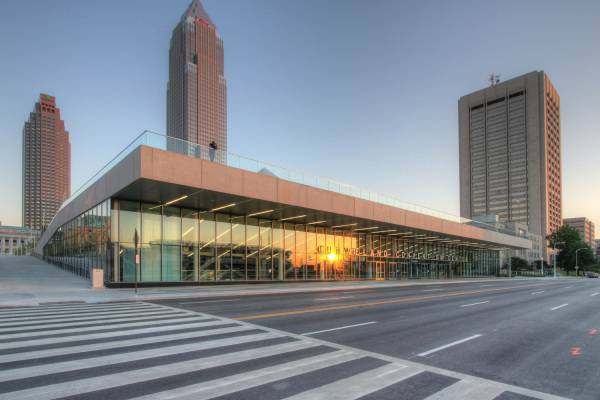 It’s striking convex shape creates panoramic city views with efficient, column-free floor plates, and floor-to-ceiling glass. Congratulation to the entire River Point Tower team! 05.03.2016 — In the central courtyard of the new Trinity Place apartments in San Francisco, a 92-foot sculpture of “Venus” is currently under construction. The twisting stainless steel sculpture was designed by artist Lawrence Argent and will be only slightly shorter than the Statue of Liberty at its crown. Imagine looking eye-to-eye with this grand sculpture from your 10th floor apartment! MKA’s structural team led by Senior Principal David Fields, P.E., S.E. LEED AP, worked on all three phases of the Trinity project and also provided the design of the structural frame for the sculpture, which includes gravity and lateral force-resisting systems. The sculpture’s superstructure is a cantilevered steel space frame with a central steel column filled with reinforced concrete over the lower 23 feet. The external skin is linked to the internal space frame “ribbons” and central column through a system of outrigger angles and hangers. For construction photos, see the article in SF Gate here. 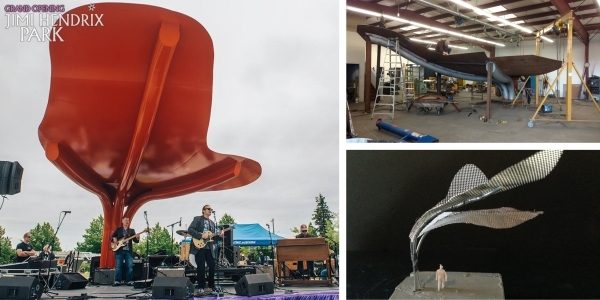 When finished, the sculpture will be the tallest in San Francisco! 10.13.2015 — MKA is certainly familiar with engineering in Chicago. Our projects currently under construction include 150 N. Riverside, 200 N. Michigan, River Point Tower, and the McCormick Place Marriott Hotel — to name just a few. But on the horizon are a collection of supertall high-rises which will be among the 20 tallest buildings in Chicago (pictured above, l-r: Wanda Vista, 113 E. Roosevelt, and 1000 S. Michigan. What about Chicago’s reputation as the “Windy City,” you ask? MKA brings to these projects decades of high-rise design coupled with advanced wind and damping engineering. Our analytical tools predict human perception to motion for a given wind environment. Based on this information, targeted strength and damping elements are incorporated into the structural system to control wind-induced movement and keep occupants comfortable. MKA has designed more than 225 buildings over 30 stories tall, including many in hurricane- and typhoon-prone regions substantiated by MKA field-monitored tall building results. 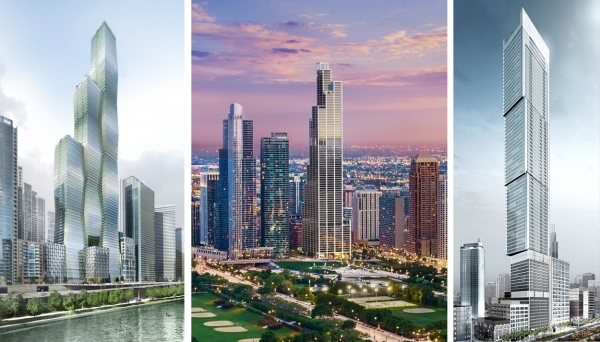 These supertall designs will make their mark on Chicago’s famed skyline in the coming years. 09.22.2015 — MKA’s Panama Museum of Biodiversity, a project we partnered on with Frank Gehry, is this month’s featured cover story for the September 2015 issue of ASCE’s Civil Engineering magazine. The article offers an interesting and colorful review of the structural elements of the museum, described by Robert Reid as having an “eclectic aesthetic” design approach. Jay Taylor, Senior Principal at MKA and leader of the Cultural, Civic, and Education Specialist Groups, provides insight as the structural engineering Principal-in-Charge on the project, and relates how MKA worked to bring the vision of the architect alive and overcome the structural design complexities. This project, a prime example of MKA’s continued leadership in engineering, was designed entirely in 3D to achieve the intricate interior configuration and the 16 separate geometric roofs. The Museum opened to the public last fall and is considered the first museum focused on biodiversity. Click the link below to read the full article and learn more about this unique project. 08.17.2015 — It’s the talk of the town and has been called "Chicago’s most spectacular engineering show." 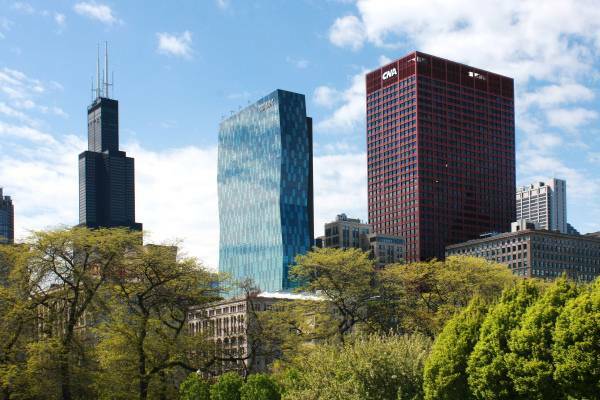 Here’s your chance to see it up close as the American Institute of Steel Construction (AISC) hosts a FREE lunch/presentation and site tour of 150 North Riverside. The event is on Friday, August 28, beginning at 11:15 a.m., and leaders from MKA will be on hand, as well as Zalk Josephs Fabricators and Chicago Steel Construction to give insight on the innovative structural solutions for this project. Please visit the AISC website here for more information and to RSVP. 07.01.2015 — The Structural Engineers Association of Illinois (SEAOI) recently announced their selections of the Fifty Significant Projects designed by SEAOI members over the last 50 years. MKA is proud to have engineered three of these projects. 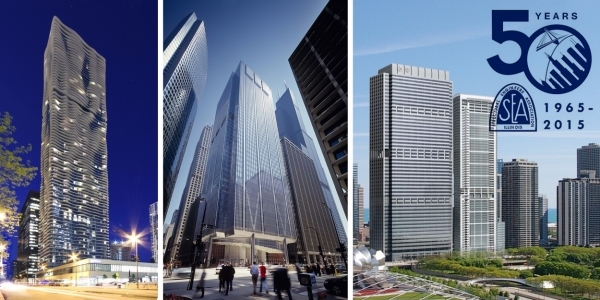 Pictured from left to right: Aqua, 111 South Wacker and 300 East Randolph (Vertical Completion Project). 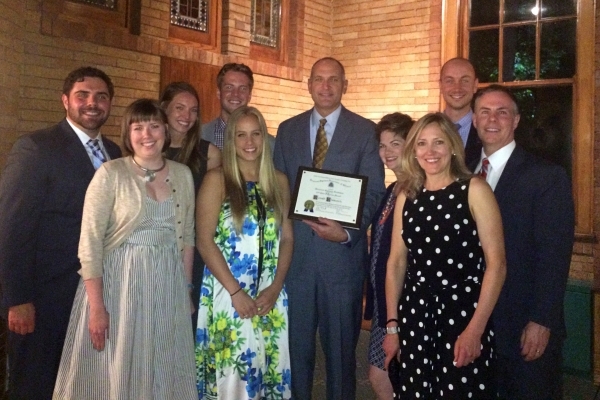 06.06.2015 — Saturday, June 6th the Structural Engineers Association of Illinois (SEAOI) held their annual Excellence in Structural Engineering awards ceremony. 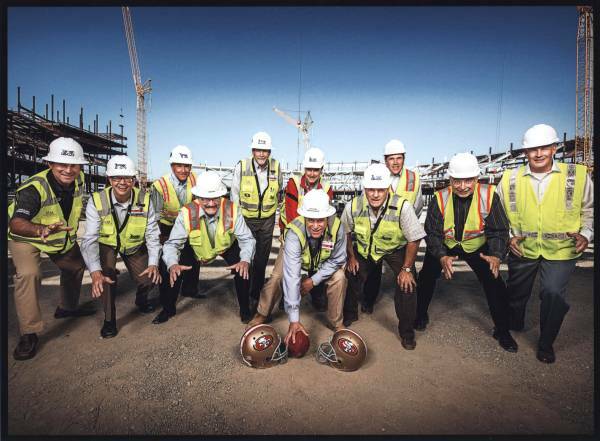 MKA was pleased to be the recipient of the award for "Best Project >$150 million" for Levi’s Stadium. Judge’s comments included, "Creating a design solution which allowed the construction of 1 billion dollars of work at such a pace is truly impressive." This is the 13th time in 14 years that MKA has won a top SEAOI award. Also during the evening, MKA Chairman and CEO, Ron Klemencic, received the John F. Parmer Award, which "honors a structural engineer whose distinguished career was acknowledged by his peers to be an example of excellence." Celebrating the evening were MKA Chicago staff including Senior Principal and Chicago Office Leader, David Eckmann, Adam Theiss, Bethany Myelle, Lucas Cusack, Haley Gunst and their guests. 05.14.2015 — At any given time on a city’s skyline you can look across and see a collection of construction cranes. 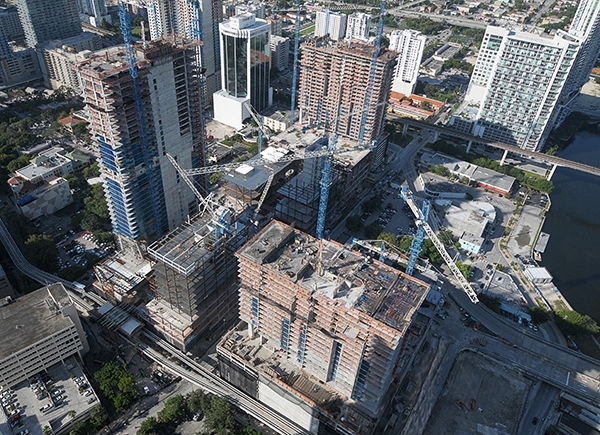 Right now in Miami there are 11 tower cranes working together to create just ONE project — the new Brickell City Centre. This extensive project includes 5.4 million square feet of office, residential, hotel, retail and entertainment space, all on a tight downtown 9.1 acre site. The tower cranes are positioned for simultaneous lifting, as well as being suitable to meet hurricane wind-load ratings for safety. Read more about the cranes and their intricate lifting configurations at the ForConstructionPros.com website here. And learn more about this MKA project on our website here. 02.05.2015 — One of the Elliott Bay Seawall project’s defining features will be its emphasis on habitat restoration. This includes a Seawall Promenade with a light-penetrating sidewalk (LPS), which will provide required natural light to the salmon migration corridor beneath. Dozens of layouts were tested to determine which offered the optimal amount of light. Other habitat restoration measures include textured seawall panels, which encourage the attachment of sea life, and a new habitat beach. The project will replace 1,128 linear meters (3,700 linear feet) of deteriorating seawall dating back to 1916, along with an abutting city street, utilities, and public spaces. Pedestrians will enjoy the restoration of the historic Washington Street Boat Landing pergola. 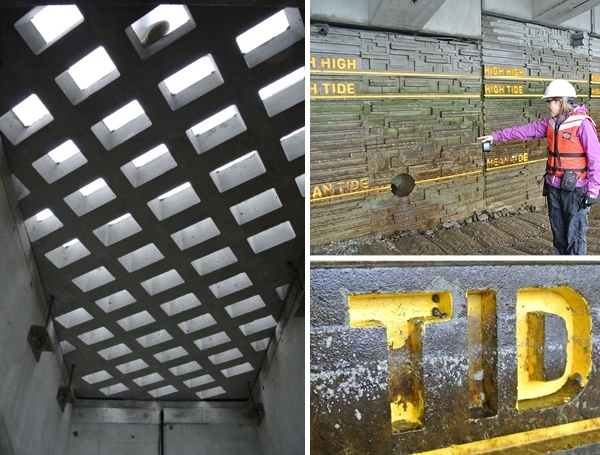 Read more about the Elliott Bay Seawall project here. 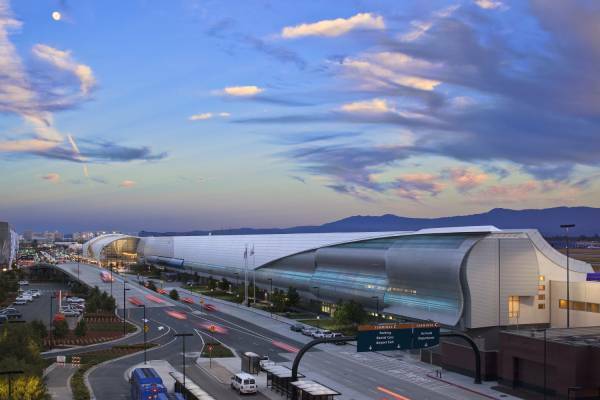 01.26.2015 — MKA was honored with an ACEC Washington Platinum Award for its role in the San Ysidro Land Port of Entry (SYLPOE) Modernization. SYLPOE, located just south of San Diego, is the busiest land border crossing in the world. Working alongside The Miller Hull Partnership, MKA’s civil and structural teams carefully orchestrated the modernization, setting new standards for efficiency, security, aesthetics, and sustainability – all while the port continued to function on a 24/7 basis. MKA’s entry will now move on to the ACEC National Competition held in April in Washington, D.C. Read more about our project and other ACEC winners in the Seattle Daily Journal of Commerce special section. 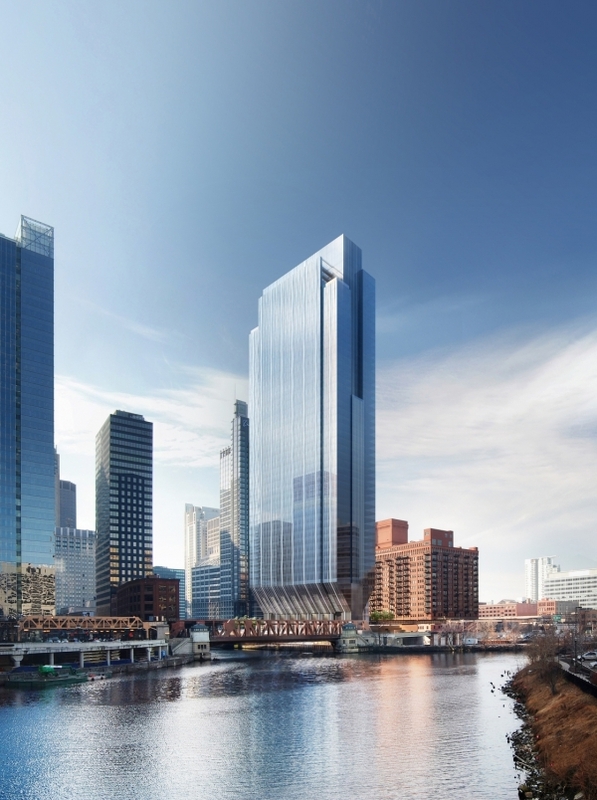 12.10.2014 — Years in the making, contractors have finally broken ground on the long-awaited 150 North Riverside development in the heart of Chicago. Located on an incredibly challenging site – bounded on one side by the Chicago River and bisected by active Amtrak rail lines – the Goettsch-designed office building features a striking tapered profile that enables the 53-story building’s footprint to only occupy 25% of the site. Engineering News-Record’s recent article provides more details on the engineering challenges overcome by MKA and the rest of the design team. 10.06.2014 — The long-awaited Panama Museum of Biodiversity is now open! After years of construction, the eye-catching Panama Museum of Biodiversity (BioMuseo) dramatically beckons visitors to the Isthmus of Panama, a narrow strip of land that forever changed Planet Earth and Panama. It’s only fitting that the joyously iconic BioMuseo also serves as an agent of change, protecting the country’s increasingly fragile environment while increasing tourism, promoting development, and even advancing the A/E/C industry! The Panamanian government sought to create an inspiring, provocative tribute to Panama’s natural history and legacy of creation on the Isthmus at the entrance to the Panama Canal. An alliance of interested entities, including the Smithsonian, engaged a team led by architect Frank Gehry, world renowned for his transformational designs. The next-generation Gehry architecture demanded a first-of-its-kind structural system, featuring intricate geometries joined by complicated overlapping and interlocking surfaces. It was also designed entirely in 3D and primarily steel, technologies and materials unfamiliar in Panama. The museum developed was exactly as hoped…but, could it be built in Panama? In an unprecedented international exchange of knowledge and technologies, MKA spent months collaborating with Gehry/EnSitu and U.S./Panamanian steel fabricators, detailers, and contractors to explore capabilities, define alternatives, create partnerships, and proactively educate until vision became reality. The 40,000-ft² museum features eight unique galleries sheltered by a canopy of 16 folded steel plate roofs supported by an understory of steel and concrete “trunks,” evoking the surrounding rainforests. 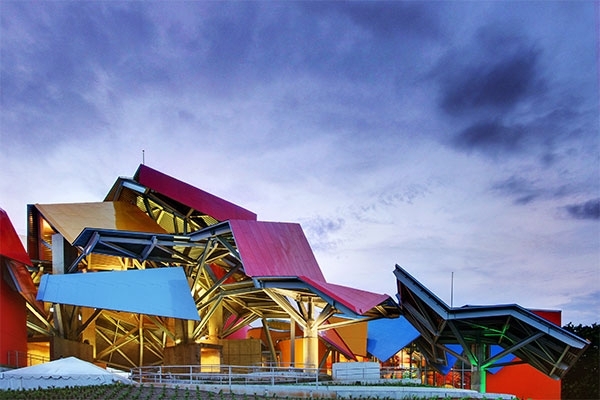 Expected to attract 600,000 visitors each year, the museum symbolizes and celebrates Panama, with an educational reach that began before it was built. 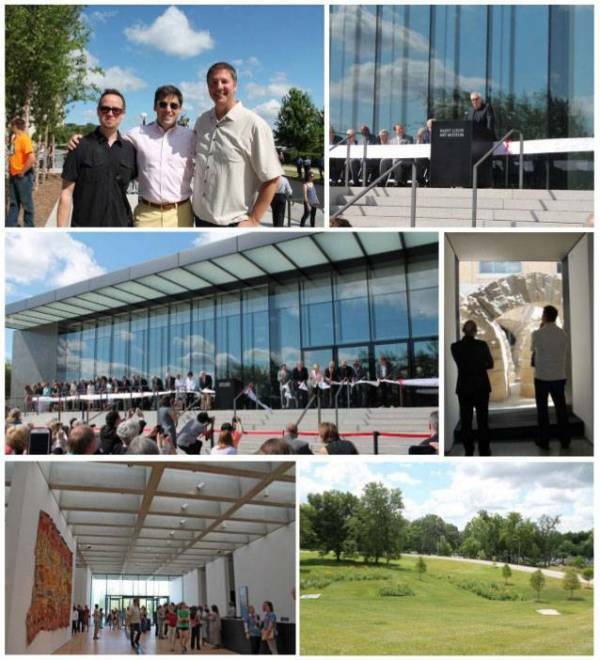 Read more about the iconic museum opening from Architectural Record or the Daily Journal of Commerce. 09.29.2014 — Construction has begun on Skyrise Miami, a new 305-m- (1,000-ft-) tall asymmetrical observation tower rising above Biscayne Bay. Slated to be the tallest building in Florida, Arquitectonica’s architecturally expressive tower will feature including three viewing decks, an event ballroom, a domed theater, exhibition space, restaurants, a nightclub, and shops. 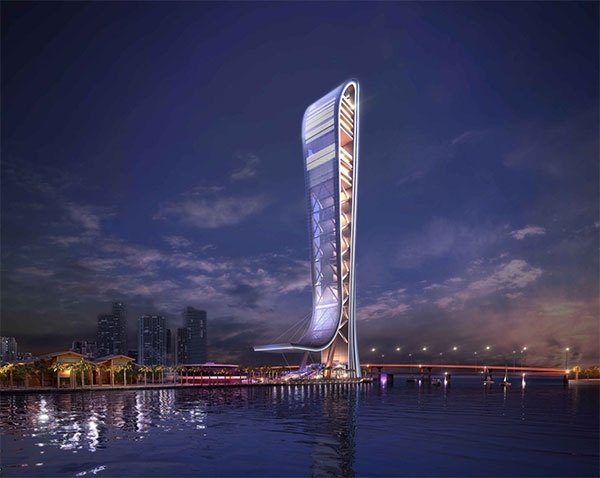 Visitors to the tower will be able to take a thrill ride that drops from the upper floors to the bay. MKA’s structural design resists wind speeds of 299 kph (186 mph) and the tower incorporates wind turbines to create green power for the area. 08.20.2014 — MKA is proud to see one of our projects making a difference – even while it is being constructed! 3-year old Renzo, who suffers from a rare form of kidney cancer, stepped in as construction foreman at the site of Trinity, a 20-story residential tower in San Francisco. 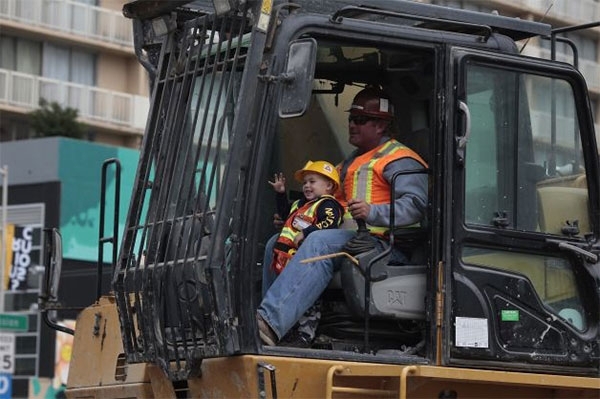 Read Three-year-old with cancer gets to be foreman for a day for more. 07.31.2014 — Jon Magnusson, MKA’s Principal-in-Charge for Levi’s Stadium, and Brian Dickson, the MKA’s Project Manager, attended the stadium’s Grand Opening Gala on July 17, 2014. The event celebrated the opening of the new 176,515-m² (1.9-million-ft²), 72,000-seat stadium, the first U.S. professional football stadium to achieve LEED Gold certification. The multi-purpose facility has the flexibility to host soccer, football, motocross, and concerts – and is expandable up to 75,000 seats for major events, such as Super Bowl 50 to be held at Levi’s Stadium in February of 2016. The first public event at the new Levi Stadium will be an MLS match between the San Jose Earthquakes and the Seattle Sounders FC on August 2, 2014. 06.09.2014 — Panama Museum of Biodiversity was awarded “Best Project - $50 Million to $150 Million” by the Structural Engineers Association of Illinois on Saturday at the 2014 Excellence in Structural Engineering Awards banquet. This keeps MKA’s streak alive, with SEAOI wins 13 of the last 14 years! Renovation and expansion transforming a five-story parking garage, circa 1975, into an eight-story, 6,967-m² (75,000-ft²) state-of-the art data center. Significant renovation and expansion of a collegiate football stadium to increase the total capacity to 72,500, with 55,000 of the seats between the goal posts. 68,191-m² (734,000-ft²) half-city-block development with two 24-story apartment towers on a 6-story podium. 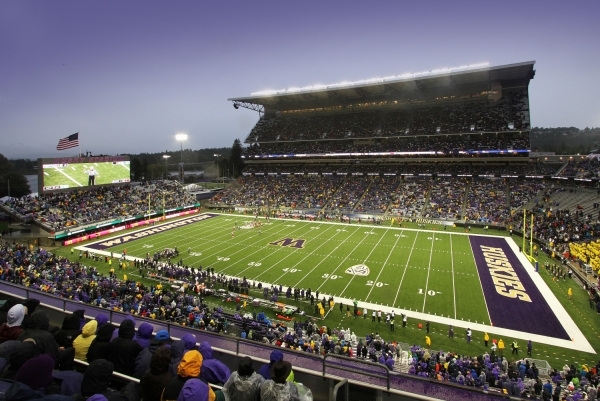 05.14.2014 — The MKA-engineered Husky Stadium Renovation receives the Washington Aggregates and Concrete Association Excellence in Concrete Construction award for cast-in-place structures and Grand Ridge Plaza receives the award for architectural decorative concrete. 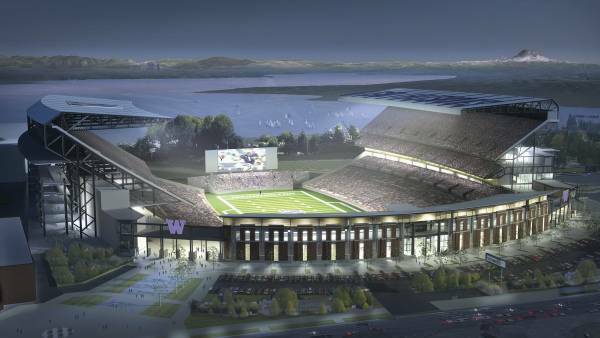 04.09.2014 — MKA Engineer Taylor Bowen presents a "University of Washington Husky Stadium Renovation" tour with Kevin Hallstrom and Dave Johnson of Turner Construction for the Washington ACI Chapter Dinner Meeting in Seattle, Washington. 03.27.2014 — Yesterday marked the 14th anniversary of the Kingdome implosion. 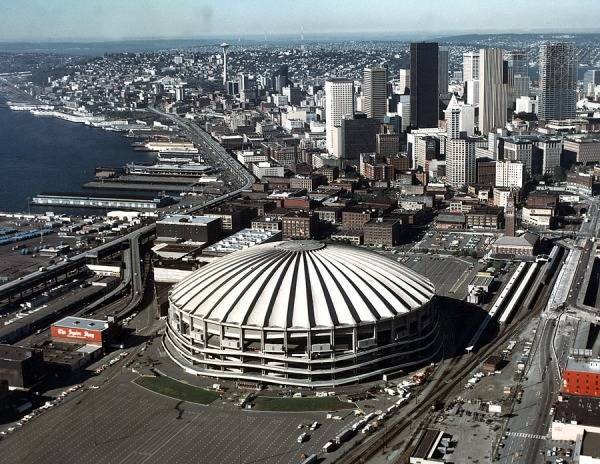 A thin-shell concrete roof stadium designed by our own John Christiansen, the Kingdome was the largest concrete dome ever built. The implosion meant losing an iconic project of our firm’s history on the Seattle skyline, but made way for two new innovative MKA sports projects -- CenturyLink Field (home of the Seahawks) and Safeco Field (home of the Mariners). 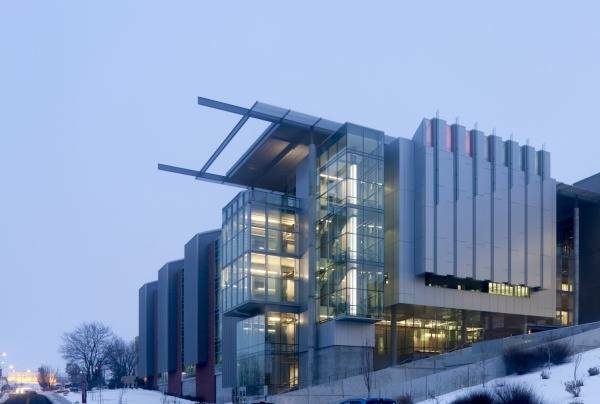 02.28.2014 — The MKA-engineered Veterinary Medical Research Building at Washington State University in Pullman, Washington, receives a “High Honors Award” in R&D Magazine’s 2014 Laboratory of the Year Competition. 01.24.2014 — MKA won a Platinum Award for structural design of the Panama Museum of Biodiversity at the 2014 Engineering Excellence Awards competition held by the American Council of Engineering Companies (Washington) on January 24. Judged on a variety of factors, including complexity, innovation, and contribution to society, MKA’s entry will now move on to the ACEC National awards held in April in Washington, D.C. Seattle’s Daily Journal of Commerce has a great write-up on our project and fellow winners! 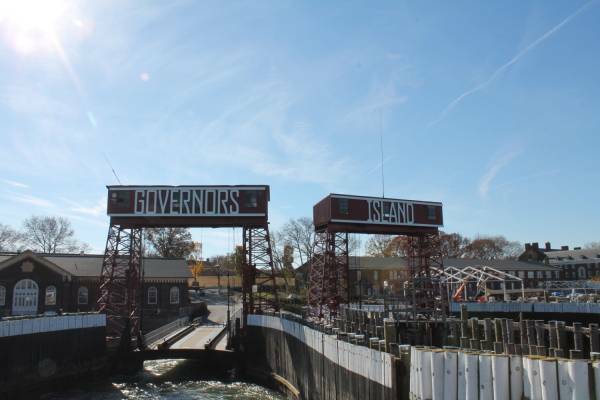 11.14.2013 — Drew Gangnes and Rita Greene attended the Trust for Governors Island completion celebration for the first 30 acres of new park on Governors Island. 11.08.2013 — Peter Somers and Brook Jacksha attended NAIOP’s Night of the Stars Awards Gala in Bellevue where three MKA projects were recognized with awards: Via6, an apartment building with two 24-story towers (shown at left), won Mixed-Use Development of the Year; 2020 Fifth Avenue Data Center, a renovation, expansion, and structural conversion of a 5-story parking garage into an 8-story data center, won Redevelopment of the Year; and the University of Washington Husky Stadium, a complete renovation of a university football stadium, won the Judge’s Award. 11.04.2013 — Jay Taylor, Drew Gangnes, Greg Briggs, and Derek Beaman attended the AIA Seattle Honor Awards at Benaroya Hall, where two MKA projects won awards: Cleveland Convention Center and Medical Mart (Honor Award), and ShoWare Center (Honorable Mention). 10.09.2013 — The new LEGO Architecture Studio set features the MKA-engineered Seattle Central Library on the side of the box! Inside are 1,210 white and clear pieces and a 272-page guidebook endorsed by leading architects and highlighting a few MKA projects. 09.18.2013 — The MKA-engineered new Federal Way Library is holding their grand opening celebration on September 28! Did you know the new building is supported by wood beams salvaged from the old library? 09.12.2013 — There’s a lot on the line for this week’s Seahawks vs. 49ers game! CenturyLink field is attempting to break the Guinness World Record for Loudest Crowd Roar at a Stadium and the quarterbacks have a bet that the loser of the game has to shave one of their eyebrows! Find out how the design of the stadium is making the world record possible. 08.31.2013 — After 2 years of renovation, Husky Stadium reopened on Saturday, with a season-opening win against #19 Boise State (UW = 38, BSU = 6!). 07.30.2013 — A group of about 30 MKA employees made it down to Safeco Field for the Minnesota Twins vs. Seattle Mariners game last Friday. We got a warm welcome, but the Mariners still lost! 06.29.2013 — Rita Greene (Civil Project Manager) and Greg Briggs (Structural Project Manager) attended the grand opening of the new wing of the St. Louis Art Museum on June 29. 06.08.2013 — The Roosevelt University Wabash Building project wins “Best Project” in the $50 to $150 million category of the Structural Engineers Association of Illinois’ 2013 Excellence in Structural Engineering Awards competition. This keeps MKA’s streak alive, with SEAOI wins 12 of the last 13 years! 04.23.2013 — Shelley Clark (MKA Senior Principal), Jon Magnusson (MKA Senior Principal), and Ron Klemencic (MKA Chairman and CEO) attend the American Council of Engineering Companies Engineering Excellence Awards gala in Washington, D.C. 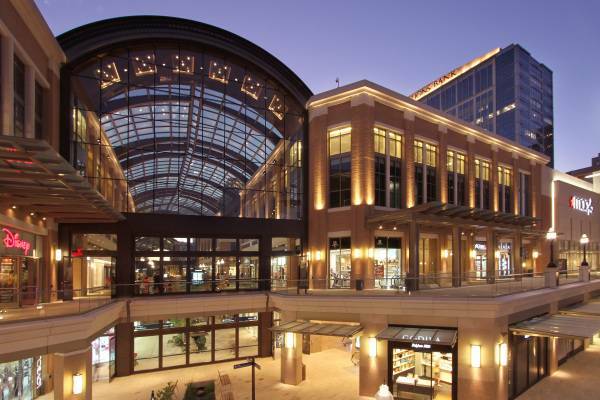 They hosted a table of 10 for the City Creek Center team, with representatives from City Creek Reserve, Taubman, ZGF, Callison, Hobbs + Black Associates, and FFKR Architects. Shelley, Bill Williams of City Creek Reserve, and Ron Loch of Taubman went on stage to receive a national Honor Award for City Creek Center (MKA project). MKA was also a Host sponsor of the gala. 03.05.2013 — Theater Commons and Donnelly Gardens, an MKA project, is certified as a Sustainable Landscape under the Sustainable Sites Initiative (SITES) Pilot Program. It is the first such certification in Washington and one of just 15 nationwide. SITES is an interdisciplinary effort led by the American Society of Landscape Architects, the Lady Bird Johnson Wildflower Center at University of Texas at Austin, and the U.S. Botanic Garden and is a voluntary, national rating system for sustainable landscapes of all types. 02.04.2013 — Matt Streid, MKA engineer, co-presents (with Joe Dietz of VOA and Pete Huey of Power Construction) "From Conception to Completion: Chicago’s Roosevelt Tower," at the CTBUH Student Workshop (hosted by the CTBUH Young Professional Committee) at the Illinois Institute of Technology in Chicago, Illinois. 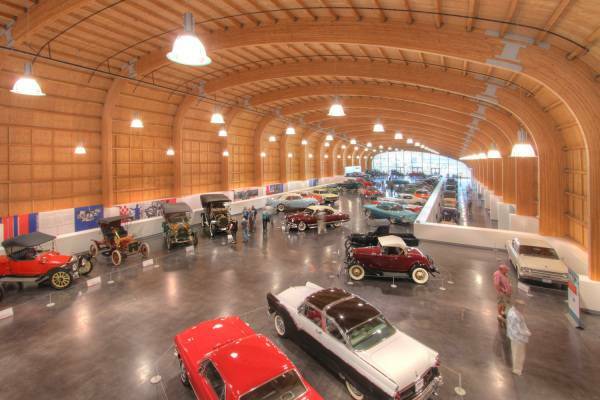 12.11.2012 — LeMay – America’s Car Museum wins a Merit Award in the 2012 North American Awards Program sponsored by the Canadian Wood Council and Wood Design & Building Magazine. The competition presented an award to 10 of the 100 projects entered in recognition of excellence and innovation in wood design. 11.09.2012 — MKA project LeMay – American’s Car Museum takes top honors at NAIOP’s annual Night of the Stars! Congratulations to the team! 11.01.2012 — Northwest Construction Consumer Council recognizes the University of Washington Medicine Bed Tower Expansion (MKA project) as the Best Public Project over $10 Million. 10.10.2012 — Greg Briggs co-presents Lincoln Park Zoo South Pond Addition (MKA project) with Todd Zima of Studio Gang Architects at the University of Illinois, Urbana-Champaign School of Architecture. 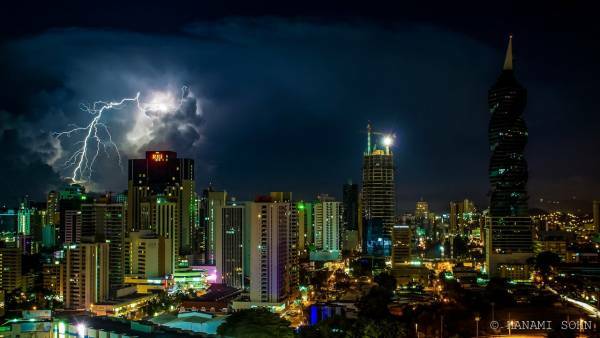 09.07.2012 — This incredible photo was taken in Panama City, Panama. While that lightning sure steals the show, did you notice that other bright light on the tower under construction? That’s the soon-to-be 40-story Soho Mall, one of MKA’s projects in the area. Let’s hope they put a lightning rod on that thing! 09.01.2012 — MKA project Ballard Commons Park won an "Urban Plazas Award" in the International Making Cities Livable 2012 Healthy Communities for All competition. The project was praised for its "high-quality design for an informal mix of diverse users in a safe and pleasing plaza." 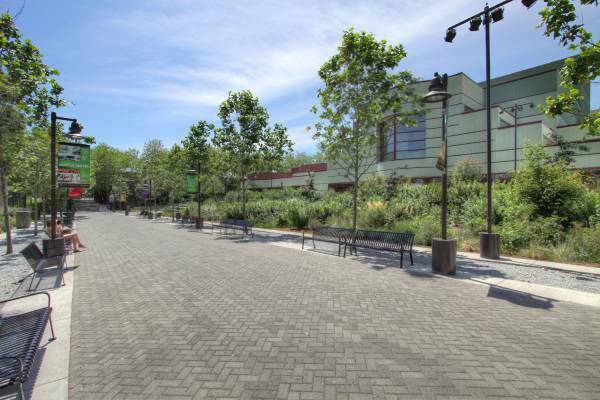 MKA provided civil engineering services for the 2-acre park, working with landscape architect Swift & Company. The park also recently won a "2012 Special Mention Award" from the Washington Chapter of the American Society of Landscape Architects. Congratulations to all involved! 02.28.2012 — A photograph of the LeMay Car Collection Center and Museum in Tacoma, WA, taken by MKA Photographer/Graphic Designer Michael Dickter, is chosen as a "Great Shot" in Engineering News Record’s 2011 "Year in Construction" photo competition. ENR received more than 1,200 submissions, and the 30 winning shots were featured in the January 9, 2012, issue.